Pinterest is the hub of inspiration for multiple different things varying from interior décor to cake recipes, and it inspires millions of users on a monthly basis, 175 million active monthly users to be exact. Although Pinterest’s visitor figures may not be as impressive as social media giants such as Facebook, Twitter and Instagram, it still has loyal users, the number of which is continuously increasing. The versatility of ideas and creativity of the social platform is what attracts its millions of users. Whether you need a Pinterest profile as part of your social media strategy will depend on your business, however the potential of the huge reach can really be a game changer for businesses. Pinterest is known to be used to seek inspiration which consequently leads to purchases being made. For example, 87% of pinners have made a purchase because of something they saw on Pinterest. This huge percentage should be an incentive enough for small businesses to want to get on board. If you are convinced and want to potentially reach the 175 million monthly users, then here is how to set up a Pinterest account and how to use it to grow your small business. 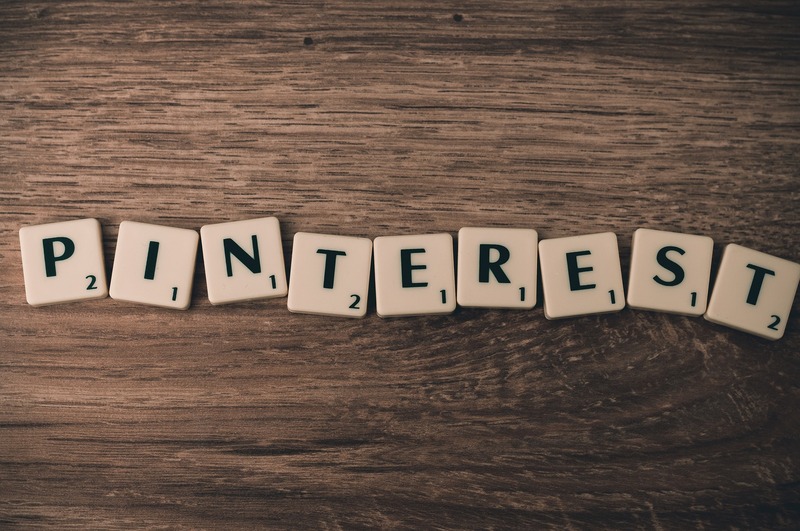 Pinterest is quite different from some of the other popular social media platforms, and there is certain lingo used that you may come across and might not understand. Here are some Pinterest terms that you need to know. Pins – Pins are the posts that are made on Pinterest. They can be in the form of a picture, infographic or video. The pin will come with a link which links it back to its original source. Pins can be a great way of driving traffic to your site, as the links refer back to the source. Boards – Boards are the collection of pins. For example, if there are multiple pins on baking, then you might want to create a board to save them in one place. Also, you can follow boards, which will mean that your feed will feature those boards as well as anything the people you follow pin. Feed – The feed is a collection of all the boards and users you follow, and is like a feed on any other social media platform. Pinners – Pinners are the users of Pinterest. When you are signing up to Pinterest, make sure you select the business profile option. This will allow you to get access to the analytics which can help you determine your social media strategy for Pinterest. Just one thing to note, when you are creating usernames for social media, make sure they correlate with other social media accounts and are consistent with your brand. When it comes to actually signing up, you will be asked to fill in the following fields: an email address, password, your business name, and the field of your business, for example, media. You can also provide your business website and although it’s optional you should definitely add it so any prospective clients can find you. These are the basic details that you will need to sign up to Pinterest. Pinterest also has an app available, and it might be a good idea to download the app so you can access your account via your mobile. Once you have signed up, all you will have to do to sign in is give the email and password to access your account. Keep your brand in mind when you are setting up your page. Firstly, you will need to add a picture, you could make your profile picture your business logo as it will help build the brand recognition and memorability. By default, you will be given a username, however you can change this. This will then appear at the end of your Pinterest, for example www.pinterest.com/CompanyBug. Then you can fill in the ‘About You’ section, make sure to give a summary of your business, highlighting your products and services and even adding contact information. This will make it easier for any prospective customers to get in touch if need be, and will also allow you to be found easily. Filling in the location field will inform your followers and any prospective customers where you are based, which is especially helpful if you run a business from one place, for example a café in London. When it comes to promoting your social media, your first point of call should be with your family, friends and customers. This will give you a starting point in terms of building a following, so make sure to promote your social media with them and encourage them to follow and engage with you online. Promote your social media accounts on your website or blog, and if you have business cards or leaflets they can also be a great place to feature that information. You will need to post, and create pins and boards to get the content flowing on your Pinterest account. Make sure that you have relevant pins and boards up before you start promoting your profile; the more you pin and post on the site, the more likely it is that you will be seen. Also make sure that you follow relevant boards and topics so you can get inspiration. This will help you build an online community on the social media platform. Remember to engage with other pinners by pinning posts and following relevant boards. Pinterest is the crazy, creative and a little misunderstood cousin of Facebook and Instagram, but it can really be beneficial if you invest time in it. It can inspire on a variety of things and it can be a great business tool, helping you get links back to your site. More on social media and marketing. Previous Post: Entertainment expenses for limited companies Next Post: Is your small business at risk of neglecting data management?